Ballarat is a city located in the territory of Victoria in Australia. The main characteristic of this city is that unlike other major cities of Australia this city is not located by the sea. The city of Ballarat is also blessed by Mother Nature immensely and has some best natural assets. The geographic coordinates of this city are 37o33' South and 143o51' East latitude and longitude respectively. The gold rush in the mid 19th century is the reason behind the growth of this city. But this growth became stagnant once Melbourne a city very near Ballarat began to emerge. The exceptional natural beauty, varied landscape, lakes and rivers makes the city an exceptional destination to visit and an ideal place to stay. There are also varied settlements in this city which includes small towns and villages. The climate in Ballarat changes with the seasons. There are mainly four seasons and due to the altitude of 450 meters above sea level the temperature is slightly on the lower side. As Ballarat is an inland city the influence of sea on its weather is also absent. The average temperature all through the year ranges from 7 degree Celsius to 17.3 degree Celsius. There is about 694.9 millimeter of rain each year. The city of Ballarat began to take shape from the days of the gold rush in the middle of the 19th century. For the period of three decades after that the city’s’ fortune grew impressively. The most significant thing in the history of Ballarat is that it was the venue of the famous Eureka Rebellion. Eureka Rebellion or Eureka Stockade as it is commonly known is famous for being the first and only armed rebellion by the civilians in Australia. The total population of Ballarat is about eighty thousand. The Learmouth town, Miners Rest town, Buninyong town and Cardigan Village are located near the city. The other municipalities in west Victoria apart from Ballarat are Pyrenees, Moorabool, Golden Plains and Shires of Hepburn. The three main rivers which flows though this city are Loddon, Hopkins and Brawon. Though mining was the economic pillar of the city for a significant period of time in recent time tourism, health and manufacturing has evolved as the main economic bases. The beautiful and varied landscapes are the main attraction of this city. The main places of attractions in or near the city of Ballarat are cathedrals, Town Hall Tower, Titanic Band Rotunda, Lake Wendouree, Black Hill Lookout and the ExPOW Memorial. There are numerous historical landmarks within the city. The tourists can visit this easily as this city is well connected with Melbourne by highways. 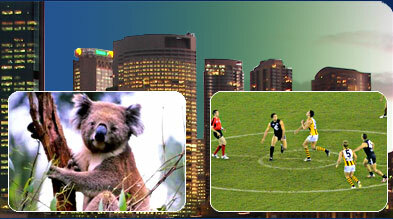 As this city is a major tourist destination it is easy to find hotels, lodges and inns of all categories here. Quest Ballarat Mews and Best western Bell Tower Inn are two places where the visitors can find accommodation. The citizens of Ballarat are especially proud of their university. The University of Ballarat is one of the biggest universities in the country which offers various kinds of courses.